In the recent drive of demonetization and digital payment systems, Airtel has launched its own payments bank which is first of its kind in the country. 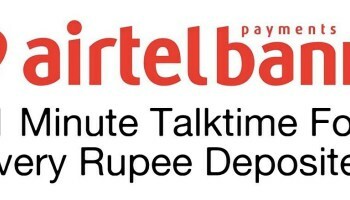 The payment bank by Airtel is not any wallet system, in fact it is a miniature version of a bank itself where a customer can have all their banking solutions. The Airtel Payments bank not only provides the opportunity to make money transactions across other banks, but also is a great provider of interest on the savings accounts of its customers. The idea of the payments banks was introduced in the year 2015 and big private companies like Vodafone, PayTM, etc. got licenses from the RBI to open their own payment banks. Also, Airtel is offering the highest rate of interest on its savings accounts compared to any other bank, with the interest rate of 7.25 per cent. After the demonetization drive by PM Modi on 8th Nov, 2016, it was a very crucial time when Airtel launched its new venture in the banking systems. At first, the payments bank by Airtel was launched in the state of Rajasthan in the first half of November. Almost 10 thousand Airtel stores spread across Rajasthan were turned into banks. On 12th, January, 2017 Hon’ble Finance Minister, Mr Jaitley launched the payments bank by Airtel for the whole country across all 29 states. There will be about 2.5 lakh stores of Airtel all across the country which will function as banks, apart from their usual business. One of the stakeholders of the Airtel’s new banking system is Kotak Mahindra which is committed to provide any expertise on banking to Airtel. In an effort to bring less-cash and corrupt free economy in the country, Airtel has launched its payments banks and turned all its retail outlets as destination to all banking services from where people can do banking transactions just with their mobile phones. At present, Airtel is also providing the highest interest rate to the savings account holders. The rate of interest offered by Airtel on the savings banks is 7.25 per cent which is almost double the interest rate any other nationalized bank offers. Generally, all other nationalized banks are offering 3 to 4 per cent rate of interest on their savings accounts. Whereas the private banks like Kotak Mahindra are offering their customers 6 per cent on savings accounts. So the high rate of interest will surely going to attract more and more customers to opt the new banking system by Airtel and have smart returns on the deposits made on savings accounts. How the Airtel Payments Banks will function? Previously, Airtel launched its digital wallet to its valued customers but the payments bank is completely different from the Airtel wallet. Through the Airtel banks which are nothing but the nearest Airtel stores, a customer can perform all sorts of banking transactions like depositing money in savings account, withdrawal of money, make fixed and recurring deposits, appoint a nominee, etc. An Airtel customer can transfer the balance of his/her Airtel wallet in the new bank account by Airtel and start banking from their mobile phone. Each Airtel bank account will have identical account no. just like any other bank. The account no. will be nothing but the mobile no. of the Airtel customer. The entire banking system will be paperless, which means your mobile phone is your bank passbook. To make banking transactions, you just need your mobile phone and visit the Airtel store. Airtel is getting e-KYC from customers opening bank accounts in its payments banks. E-KYC is necessary to know the customer’s identity and address proof. Aadhar card is a mandatory document which is being linked with all the bank accounts opened by Airtel. This is an important KYC document as it holds all the biometric data of a customer. Airtel will not charge any service charge in case of transfers within Airtel accounts. All transactions made digitally will have no processing fee. Airtel has clearly stated that no physical credit or debit card will be issued to its banking customers. With partnership with Master Card, it will provide virtual cards which may be used for digital transactions by their customers. For the smart phone users, the Airtel banking can be done through the Payments app which can be downloaded from the app store. This app is available for both the iOS as well as Android users. Those who do not have a smart phone can have access to the Airtel banking through IVR and USSD process.